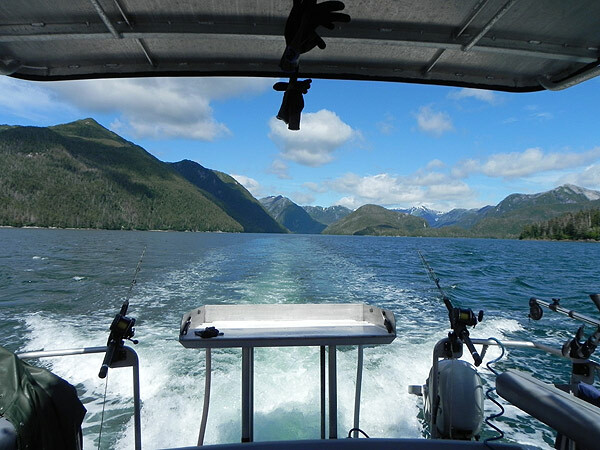 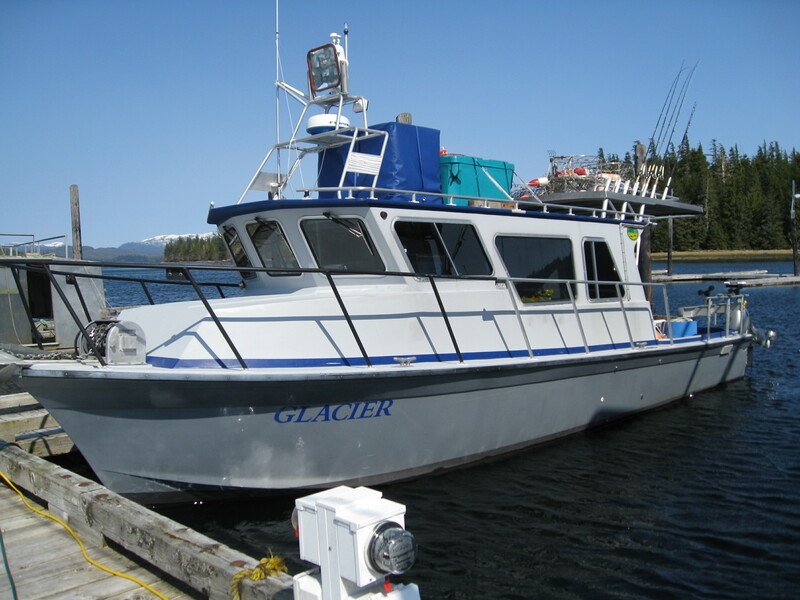 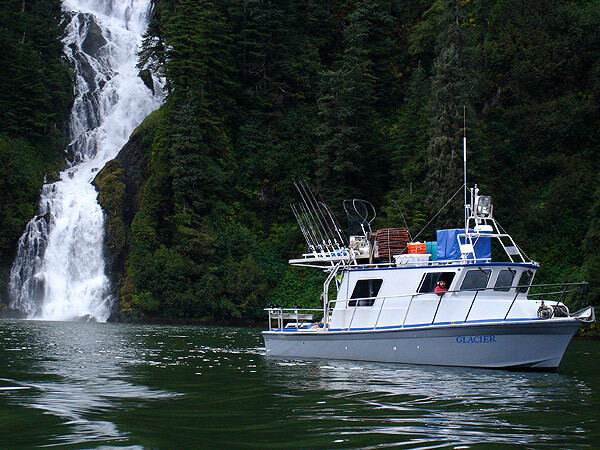 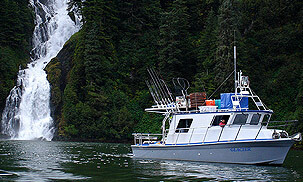 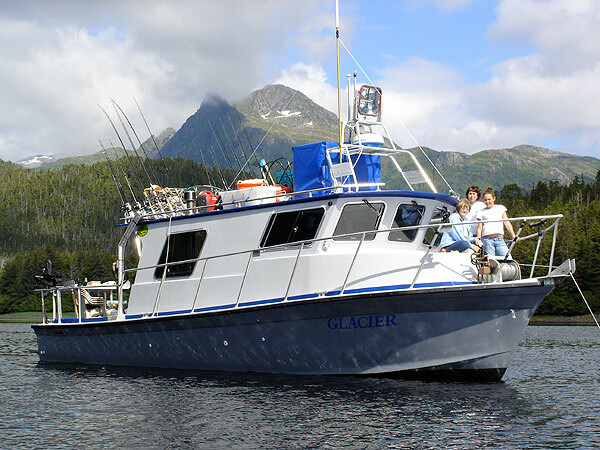 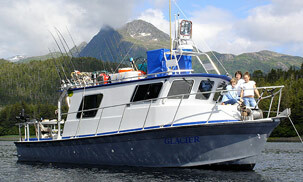 The "Glacier" is our 38' custom-built, fiberglass, twin-diesel engine, Coast Guard approved charter boat that is immaculate and maintained with extremely high standards. 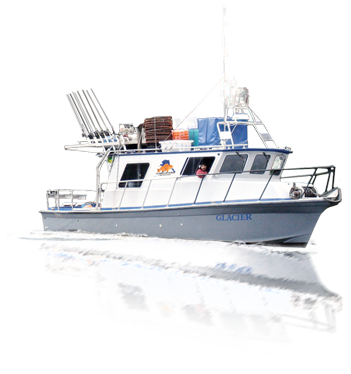 It has survival suits, life jackets, an EPIRB, several first aid kits, a defibrillator, fire extinguishers, carbon monoxide detector, heat, great food and much more. 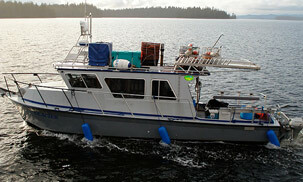 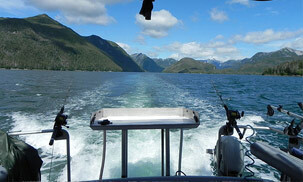 It is Coast Guard approved & inspected and very seaworthy. The "Treasure Hunter" is our 26' custom Crozier Craft Inc. aluminum welded, high speed, single Honda 250hp with Honda 15hp kicker go-to-fish-catching boat! 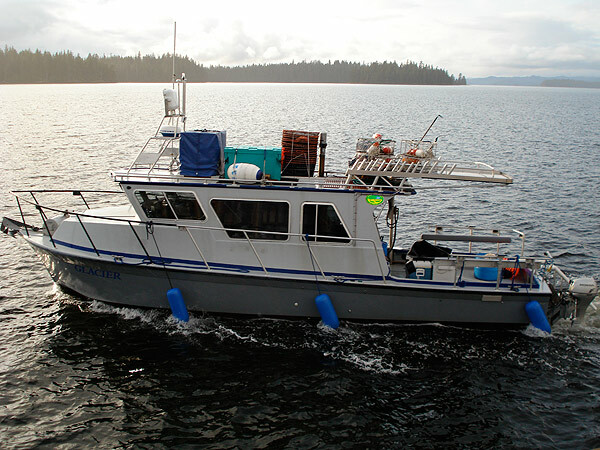 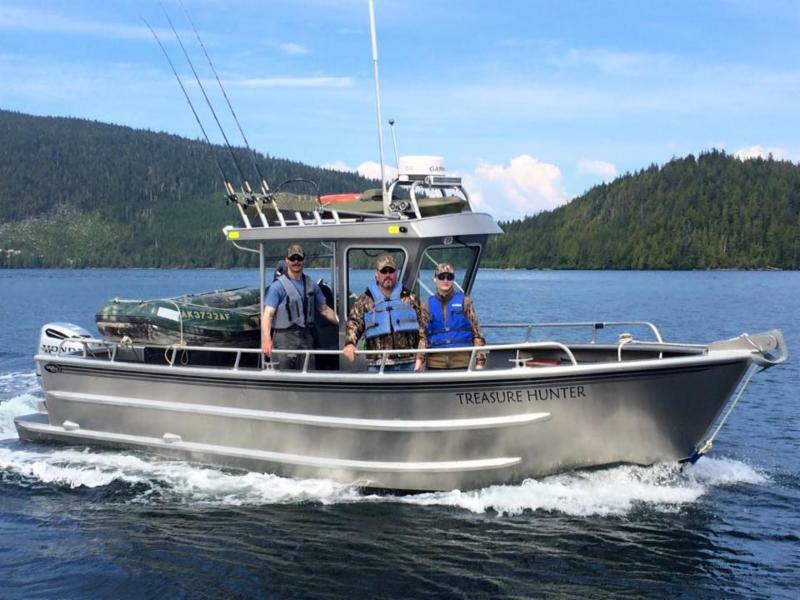 Brand new in 2015, Treasure Hunter proved herself as a seaworthy, comfortable, stable fishing vessel, performing flawlessly for all our summer fishing adventures.